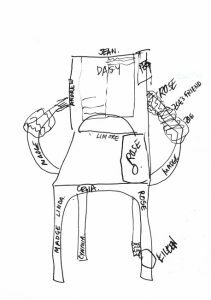 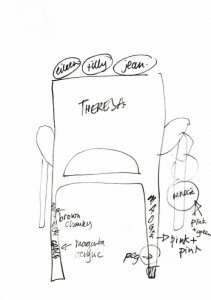 Home » Sketchbook » What makes a comfy chair? 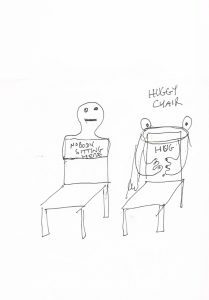 What makes a comfy chair? 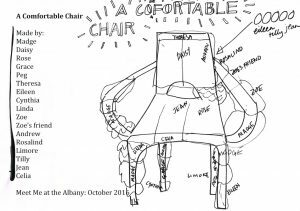 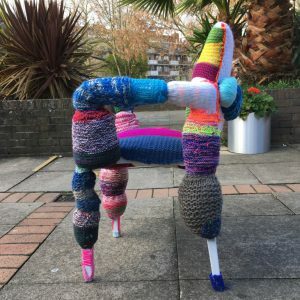 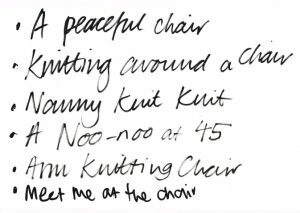 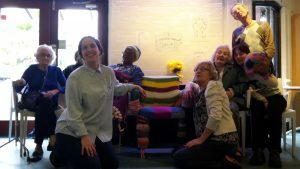 In autumn 2016, artist Celia Pym joined the Meet Me at the Albany knitters to re-imagine and create a comfortable chair using a café chair from the Albany as a starting point. 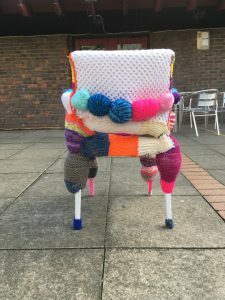 Celia Pym Comfy Chair finished piece and knitters.